Grotius removed natural law from the jurisdiction of moral theologians and made it the business of lawyers and philosophers, by asserting that by their very nature, natural laws were authoritative in themselves, with or without faith in God. He held that the moral ethics of natural law applied to all social and rational beings, Christian and non-Christian alike. Grotius also promoted the concept of “Just War” as war which was required by natural, national and divine law under certain circumstances. He developed a series of rules for “right conduct” of war, based on the principle that actions in a war should “serve the right." Grotius also wrote De Jure Praedae (“On the Law of Prize and Booty”), one chapter of which, defending free access to the ocean for all nations, was reprinted and widely circulated under the title Mare Liberum. Grotius remained in France and studied law at Orléans, and the same year produced Pontifex Romanus, six monologues offering a synthesis of the political situation in 1598. In 1599 he returned to The Hague to begin a law career and lodged for a time with his former teacher, Uyttenbogaert. In 1600 he wrote Mirabilia, a poem about the events on land and sea in the first half of that year. In 1601 the states of Holland decided to emphasize their autonomy from Spain and made Grotius their official Latin historiographer, commissioning him to write a description of the Dutch revolt against Spain. Grotius entitled this work Annales et Historiae de Rebus Belgicis in emulation of the Roman historian Tacitus. It had two parts, the “Annales,” covering the period from 1559 to 1588, and the “Historiae” beginning in 1588 and concluding with the Twelve Years' Truce (1609–1621). 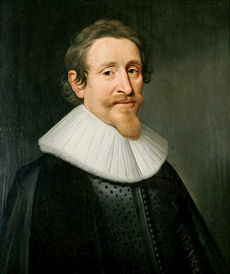 On his return to The Hague, Grotius opened a law practice, and his clients included the Dutch East India Company, Oldenbarnevelt, and Prince Maurice of Nassau. Holland was then at peace with Spain and Portugal, but in 1604 a Dutch admiral seized the Portuguese ship Santa Catarina. The Dutch East India Company asked Grotius to write a treatise, De Jure Praedae (“On the Law of Prize and Booty”), contending that the Dutch were justified in seizing the ship because Spain and Portugal had deprived them of the trading rights. One chapter of this treatise, defending free access to the ocean for all nations, was reprinted and widely circulated under the title Mare Liberum. In 1607, when the position of attorney general (advocaat fiscaal) of Holland, Zeeland and West Friesland became available, Prince Maurice of Nassau chose Grotius over two other older and more experienced candidates. In 1609 he married Maria van Reigersberch, the daughter of the burgomaster of Veere, a courageous woman who supported him faithfully during difficult times. They had three daughters and four sons. That same year Grotius published a drama, Christus Patiens, that was to be widely imitated. In 1613 Grotius was appointed pensionary (governor) of Rotterdam, and led a delegation to England to protest the seizure of the cargoes of two Dutch ships on the seas near Greenland. A political dispute arose in Holland between orthodox Calvinists and reformers over Arminianism. Grotius, Oldenbarnevelt and other supporters of religious tolerance sided with the reformers or "Remonstrants" against Maurice, the Calvinist establishment and other "Contra-Remonstrants." On August 29, 1618, Maurice and his allies carried out a coup d'état, overthrowing the States General (of which Grotius was a member in his position as pensionary of Rotterdam) and imprisoning him along with Oldenbarnevelt and Rombout Hoogerbeets, the pensionary of Leiden. In a purge of "Remonstrants" from the government, Oldenbarnevelt was executed, and Grotius and Hoogerbeets were sentenced to life imprisonment. Grotius had access to books and writing materials in prison, and was permitted to correspond with outsiders, but there was constant danger that the authorities might also decide to execute him. In 1621, with the help of his wife Maria, Grotius escaped by hiding himself in a large trunk which she sent to him, and having it carried out of the prison, pretending that it contained a large number of books. He fled to Antwerp and then to Paris, where his family joined him. The French authorities welcomed Grotius and awarded him an annual pension. In 1625, a Parisian press published his masterpiece De Jure Belli ac Pacis (“On the Law of War and Peace”), in which he laid the foundations of international law. The work quickly made him famous, and in 1631 he attempted to return to the Netherlands. Prince Maurice had died in 1625, and Prince Frederick Henry of Orange intervened on his behalf, but Grotius was still threatened with arrest by the government. He was offered the governor generalship of the Dutch East India Company in Asia, but the authorities moved against him, offering a large reward for his capture and forcing him to flee Holland in April 1632, never to return. Grotius had achieved such a reputation internationally that in 1634, the Swedish chancellor, Count A. G. Oxenstierna, offered him the position of Swedish ambassador in Paris. Grotius accepted and wrote a drama in honor of the count, Sophompaneas (1635), relating the fortunes of the biblical Joseph as minister at the Egyptian court. The great Dutch poet Joost van den Vondel translated this drama as Joseph in't Hof (“Joseph at the Court”). Grotius served, with mixed success, for ten years as ambassador for Sweden, which was then a major European political power. He helped negotiate a treaty which eventually ended the Thirty Years' War, but at one point he made a misstep which required the Swedish chancellor to come to Paris and intervene personally. During this time, Grotius became increasingly concerned with the task of achieving Christian unity among the various Protestant factions and the Catholics. Intellectually, the effort to unite Christianity raised many philosophical and theological questions, and politically Grotius was in a position to exert influence in Europe. He wrote some interesting works on theology, many of which were collected in his Opera Omnia Theologica. From 1636–1637 Grotius worked on the Historia Gothorum, Vandalorum et Langobardom (“History of the Goths, Vandals, and Lombards”), and edited the works of Tacitus (1640). After Queen Christina ascended the Swedish throne in 1644, she began to dismantle the political structure of her rival Oxenstierna. She relieved Grotius of his ambassadorship and called him to Stockholm to assume a different position. Reluctantly, he set sail in March of 1645. His ship was wrecked in the Baltic and he barely escaped with his life. After a few months in Sweden, though he was received there with great honor, he decided to return to Germany. Weather conditions were poor; the normally short journey took eight days and Grotius died of exhaustion two days later in Rostock, Germany, on August 28, 1645. His last words are said to have been, "By attempting many things, I have accomplished nothing." Grotius was a philosopher, a legal scholar, a theologian, a poet, a dramatist, a philologist and a prolific writer and editor. It is said that he later regretted that he had chosen a career in law instead of in literature. He never stopped writing, even while carrying out the legal, political and administrative responsibilities to which he had been appointed. As a poet and philologist, Grotius edited, with a commentary, Martianus Capella's handbook of the seven liberal arts (1598), the Phaenomena, a work on astronomy by the third century B.C.E. Greek Aratus of Soli; he also collaborated with the humanist Daniel Heinsius on a Latin translation of the Greek bucolic poet Theocritus. In 1601 he published Sacra, a volume of Latin poetry made up of sacred poems, together with the drama Adamus Exul (“Adam in Exile”). The drama was widely read and imitated, and was admired by the English poet John Milton. In 1614 he again edited a Roman author, Lucanus. He defended his position in the Dutch religious conflict in Apologeticus eorum qui Hollandiae Westfrisiaeque et vicinis quibusdam nationibus ex legibus praefuerunt. He also worked on a Latin translation of Euripides' Phoenissae (1630) and on a commentary on the Bible, Annotationes in Libros Evangeliorum. Two of his philosophical works were of major significance in Europe, De Jure Belli ac Pacis (“On the Law of War and Peace,” 1625), and De iure praedae commentarius (“Commentary on the Law of Prize and Booty,” 1604). The sole manuscript of “Commentary on the Law of Prize and Booty” was discovered in a trunk when some of Grotius’ descendants sold a collection of his papers in 1864. It discussed the legal question of whether a private agent such as the Dutch East India Company had the right to employ force against another private agent which was restricting its actions. The treatise was also intended to glorify Holland and the Dutch East India Company while defaming Spain and Portugal. Only the twelfth chapter had been published by Grotius, as Mare Liberum (“On the Freedom of the Seas”), and had aroused considerable interest in Europe. Grotius’ reputation as a philosopher is based on De Jure Belli ac Pacis (“On the Law of War and Peace”), part of which was written during his imprisonment. It consists of an introduction and three books, more than nine hundred pages in translation. In the introduction, or Prolegomena, Grotius articulates the philosophical foundations for the rest of the work. Book One defines the concept of “just war,” argues for the legitimacy of war, and identifies who may legitimately wage war. Book Two examines the causes of war, origins of property, the transfer of legal rights and other such issues. Book Three defines the rightful conduct of belligerents in war. After the initial publication in 1625, Grotius printed several more editions, adding more references without substantially changing the arguments. Man could learn what those fundamental natural principles are by studying human nature. A study of human nature revealed that it consists of two basic needs, or desires: the need for self-preservation and the need for society. These two needs counteracted and informed each other, the desire for self-preservation being limited by the social impulse and conversely, the desire for society being limited by the need for self-preservation. The desire for self-preservation and the need for society were both emotive and cognitive, irrational and rational, instinctive and deliberate. In order to satisfy these two needs and live successfully, man ought to do two things: abstain from what belongs to others, and engage in reasonable pursuit of what genuinely serves his interests. Grotius made these the first two elements of natural law the basis of the first four “laws” in De Jure Belli ac Pacis. In addition to these, from the observation of human nature Grotius derived an additional 22 fundamental “laws,” such as, “Evil deeds must be corrected" and, "Good deeds must be recompensed." Why should human beings obey laws? Grotius, borrowing from Francisco Suárez, maintained that natural law obliges us to perform actions which contribute to our rationality, sociability and need for self-preservation. For example, evil deeds must be corrected because they have unjustly benefited some while unjustly harming others, thus disturbing the moral equilibrium of society. In order to maintain healthy social relations, it is imperative that evil deeds be punished. During that period, European expansionism was beginning to impinge on the liberty of indigenous peoples in the Americas, Africa and Asia. Grotius did not agree with those who wanted to exclude non-Christians from the jurisdiction of natural law. Natural law, according to him, applied to all rational and social beings. Grotius said that wars could be justly undertaken in response either to "wrongs not yet committed, or to wrongs already done" (De Jure Belli ac Pacis. II.1.2.1). He compiled a long list of wrongs which might justify war, but he also suggested limits, some of which were controversial. Even if a war were undertaken for just causes, it must be fought rightly in order to be a “Just War.” Grotius established three rules to govern the conduct of a war. The first was, "In war things which are necessary to attain the end in view are permissible" (De Jure Belli ac Pacis.III.1.2). He qualified this by making the criteria which made an action “necessary” quite restrictive. After establishing the three basic laws, Grotius set out to determine the legal and moral status of a large number of actions that might be undertaken by belligerents and to consider whether or not they would be permissible during a war. The ultimate criterion was that war was only justifiable when it serves right. Grotius wrote a book defending Christianity, called De veritate religionis Christianae (“On The Truth of the Christian Religion,” 1632), which was translated from Latin into English, Arabic, Persian and Chinese by Edward Pococke for use in missionary work in the East and remained in print until the end of the nineteenth century. It was the first Protestant textbook of Christian apologetics, and was divided into six books. The work discussed the emerging questions of historical consciousness concerning the authorship and content of the canonical gospels, pagan religion, Judaism and Islam, and anticipated the problems of eighteenth-century Deism. Grotius represents the first of the practitioners of legal, or juridical, apologetics in the defense of Christian belief. The Peace Palace Library in The Hague holds the Grotius Collection, containing a large number of books by and about Grotius. The collection was based on a donation from Martinus Nijhoff of 55 editions of De jure belli ac pacis libri tres. De Jure Belli ac Pacis influenced both philosophers and men of action. The Swedish King Gustavus Adolphus is said to have kept a copy of the it under his pillow, next to the Bible. Grotius’ greatest impact was on other scholars. Pierre Bayle called him "one of the greatest men in Europe." Gottfried Leibniz hailed "the incomparable Hugo Grotius." Thomas Reid spoke of "the immortal Hugo Grotius," Francis Hutcheson drew on him extensively, and David Hume cited an argument of his about the origins of property in the third appendix of his second Enquiry. His critics included Jean-Jacques Rousseau, Voltaire and the natural law theorist Samuel Pufendorf. Early modern moral philosophy was dominated by the ethics of natural law. Grotius remained the major natural law theorist until he was displaced by Immanuel Kant’s moral philosophy and rewriting of the history of ethics. He removed natural law from the jurisdiction of moral theologians and made it the business of lawyers and philosophers. While Grotius recognized divine will in natural law, his theory asserted that by their very nature, natural laws were authoritative in themselves, with or without faith in God. He also compiled and systematized the practices of “just war” around principles based on natural law. In politics, Grotius gave rise to a theory of statehood and the relations among states, which conceived of states as existing in an international society governed by a system of norms that were authoritative in themselves, and not dependent on the action of a legislature or legislator. At the same time, his theory recognized that individual states would engage in the pursuit of their own perceived interests, regardless of whether such pursuits place them in conflict with the natural law, allowing for the negotiation of a middle way. De iure belli ac pacis libri tres (Paris: Buon, 1625). Reprinted and translated many times since. Jean Barbeyrac's 1735 edition, with extensive notes and commentary, was the most important; it was anonymously translated into English and published in London by Innys et al. in 1738. The most commonly-used edition and translation nowadays is by Frank W. Kelsey, et al. for the Classics of International Law series (Oxford: Oxford University Press, 1925). Kelsey's version is printed with a facsimile of the 1646 edition. Annales et Historiae de Rebus Belgicis (Amsterdam: Blaeu, 1657). Translated by T. Manley (London: Twyford and Paulet, 1665). Opera omnia theologica (London: Moses Pitt, 1679). De iure praedae commentarius. Edited by G. Hamaker (The Hague: Nijhoff, 1868). The most commonly used edition and translation is by G. L. Williams, et al. for the Classics of International Law series (Oxford: Oxford University Press, 1950). Williams' version is printed along with a collotype of Grotius' manuscript. Briefwisseling van Hugo Grotius. Edited by P. C. Molhuysen, et al. (The Hague: Nijhoff, 1928–2001). Grotius Reader: A Reader for Students of International Law and Legal History. Edited by L. E. van Holk and C. G. Roelofsen (The Hague: T.M.C. Asser Instituut, 1983). The Antiquity of the Batavian Republic. Edited and translated by Jan Waszink (Assen, Netherlands: Royal van Gorcum, 2000). [Anonymous]. The World of Hugo Grotius. Amsterdam and Maarssen: APA—Holland University Press, 1984. Asser Instituut (eds.). International Law and the Grotian Heritage. The Hague: T.M.C. Asser Instituut, 1985. Blom, Hans W., and Laurens Winkel (eds.). Grotius and the Stoa. Assen, Netherlands: Royal Van Gorcum, 2004. Bull, Hedley (ed.). Hugo Grotius and International Relations. Oxford: Clarendon Press, 1990. Craig, William Lane. The Historical Argument for the Resurrection of Christ During the Deist Controversy, Texts and Studies in Religion Volume 23. Lewiston, N.Y. and Queenston, ON: Edwin Mellen Press, 1985. Dulles, Avery. A History of Apologetics. Eugene, OR: Wipf & Stock, 1999. Dunn, John and Ian Harris (eds.). Grotius, vols. 1–2. Cheltenham, UK: Edward Elgar Publishing, 1997. Edwards, Charles. Hugo Grotius. Chicago: Nelson-Hall, 1981. Knight, W. S. M. The Life and Works of Hugo Grotius. London: Sweet and Maxwell Publishers, 1925. Onuma, Yasuaki (ed.). A Normative Approach to War. Oxford: Clarendon Press, 1993. This page was last modified on 17 January 2018, at 16:15.